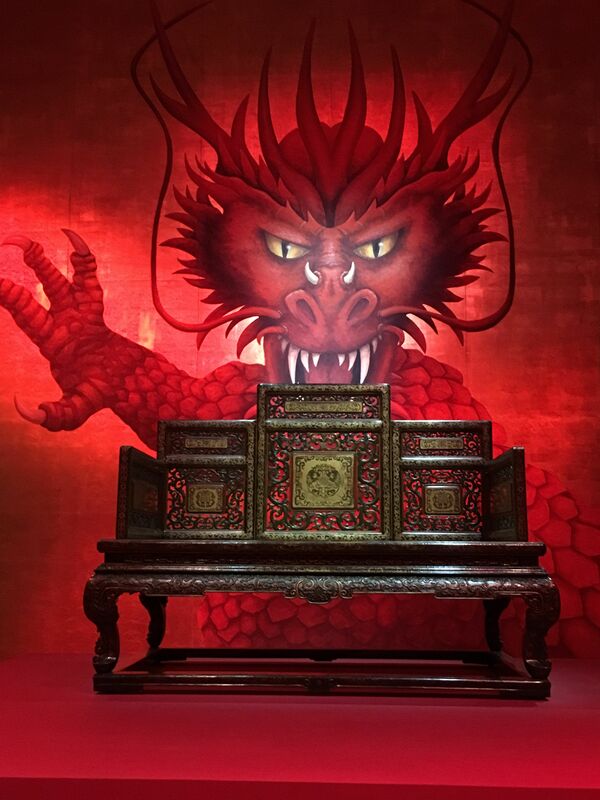 This is how they display a Qing dynasty throne in the exhibit Power and Beauty in China’s Last Dynasty, through May 27 at the MIA, Minneapolis Institute of Art. 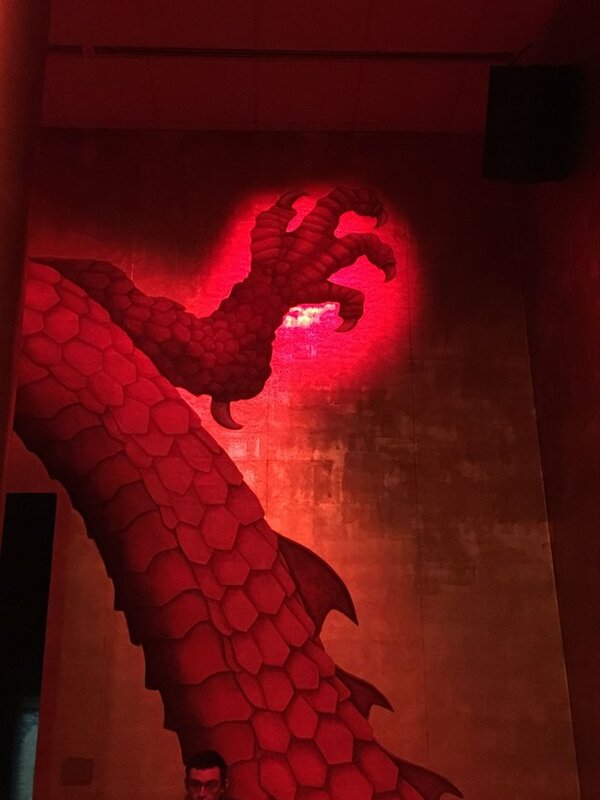 The dragon is painted on the four walls surrounding the throne. The theatrical mastery of Robert Wilson sets the mood with light and sound. If you’re in the area, get to the MIA by May 27th. Happy Red Monday #ColorChallenge! It is pretty amazing in person. You actually feel you are in danger, at least a bit, while you are in that room. Interesting question about the wallpaper. I’m not sure. I felt ok posting the images because I noted who created them and where the pictures were taken. You must judge for yourself.